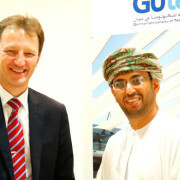 To initiate special training programmes for the upcoming railway sector in Oman, a Memorandum of Understanding (MoU) was signed last week between GUtech and the DB International GmbH, the international frontrunner of the German Railway, Deutsche Bahn DB at GUtech in Halban. Due to the upcoming railway project in Oman, that will connect all GCC countries, there is a demand for specialized training in the coming years. “In cooperation with DB International this MoU will allow us to design and set up a specialized training programme for railway engineering students and technicians in Oman.” said Dr.-Ing. Tobias Effey, Head of Training and Smart Solutions Center at GUtech. The training programme will be held at GUtech Campus in Halban. “Through this cooperation with DB International we will also be able to send highly qualified students and local faculty for on the job training programmes in facilities of the German Railway,” said Dr. Hussain Al Salmi, Deputy Rector for Administration and Finances of GUtech. The German Railway / Deutsche Bahn AG is one of the world’s leading passenger and logistics companies and operates in 130 countries. The company’s railway activities in Germany – with about seven million passengers and 1,138,000 tons of freight transported every day – is its core business. 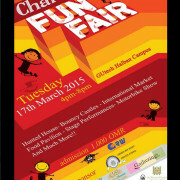 The Student Council at (GUtech) planned their annual charity event. This year theme was Fun Fair. 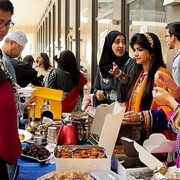 The event included around 15 local vendors, who displayed their products, and music performances accompanied with Omani songs, local bands, and comedy show which made the event entertaining. The event also included bike show and car show. 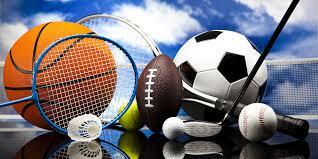 A special area was set up for kids’ games including a Bouncy Castle and there was also a raffle draw.